BOOT CAMP is now available at the ELTHAM REDBACKS FC, with a goal of increasing the general health and fitness of all participants. HIT Burner Session 40 mins - high intensity muscular power and cardio exercises that increase fitness, metabolism & assist muscular growth. Abs Blaster Session 15 mins - high intensity workout that strengthens & tones the core. Sessions are suitable for males & females of all abilities - but be ready for a high intensity workout. New to group fitness? You’ll be fully guided and instructed. 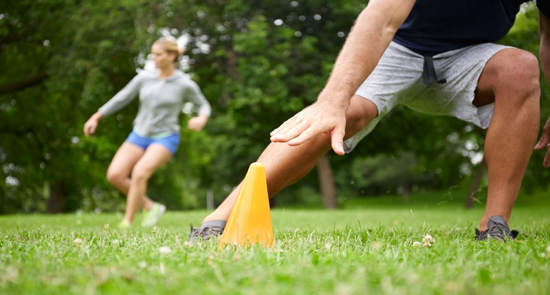 Scheduled during football training times – get fit whilst your kids train. Open to all members of the public – you don’t have to be a Redback to join.